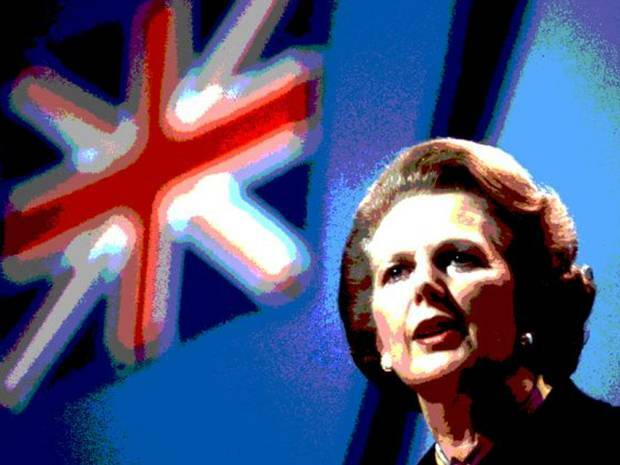 The attempt to present Margaret Thatcher as a great war leader based on the Falklands War, with 800 members of the military to be present at her funeral, is bizarre once you know the historical facts. When the Argentinians began talking of taking the Falklands in 1977, Labour Prime Minister Jim Callaghan and Foreign Secretary David Owen were persuaded by military chiefs to send a Royal Navy fleet to the South Atlantic to signal Britain would fight any invasion. 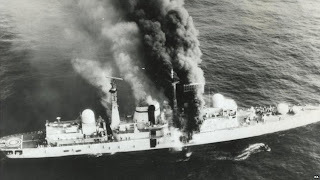 In a similar situation in 1982 Thatcher’s government withdrew the last Royal Navy ship – the HMS Endurance - from the area during spending cuts, leading the Argentine military junta to believe Britain would not fight for the islands (1) – (2). They invaded – and then Thatcher declared war. Hundreds died as a result. Some suggest that Thatcher, then the most unpopular Prime Minister in British history to that point, after increasing unemployment by over 50% to over 3 million after promising to reduce it during the 1979 election campaign, wanted a war to restore her popularity (3). It’s impossible to know whether the decision to recall HMS Endurance was the result of blind ideology in imposing spending cuts and incompetence in not caring where they were made; or whether Thatcher wanted the Argentinians to believe Britain wouldn’t fight in order to get a war to restore her political fortunes. If the latter she was betraying members of the British armed forces just as much as Blair with Iraq. Either way she was responsible for an easily avoidable war and all the deaths in it. By any rational standard she should be condemned for not preventing war as simply and easily as Callaghan did rather than lauded for winning a war against an inferior military that could have been avoided. 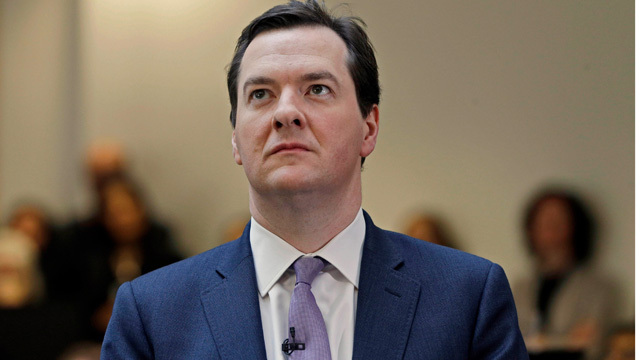 Some might say that Chancellor George Osborne's use of the Phillpott case to try to justify taking benefits from the most vulnerable people in the country is a lot like when Bush used 9-11 as an excuse to invade Iraq, or when Hitler used the burning of the Reichstag to seize power and carry out the Holocaust - and if that seems like an outrageous statement to any of Osborne's supporters you'll now know how the rest of us feel about Osborne trying to use a psychopath’s crimes to take from the poorest and most vulnerable people in the country (1). His attacks on the welfare state are morally wrong as they take from the most vulnerable people in the country while cutting taxes for the wealthiest and allowing tax evasion by them, big banks, or big firms through UK government approved tax havens in UK dependencies like the Channel Islands. On top of that they are economic stupidity, especially in a recession, as people on benefits will spend every penny as they’re struggling to get by, boosting demand in the economy. By comparison tax cuts for the wealthiest will often lead to them saving more money, or transferring it to investments in other countries. So common sense and justice would suggest the government should be increasing taxes on the highest earners, closing down tax havens in UK dependencies and increasing benefits. Instead they’re doing the opposite. So it’s time we had a debate on the systems of public schools and Oxford University, along with big private donations to political parties from billionaires big banks and big firms, that create vile politicians like David Cameron, Iain Duncan Smith and George Osborne who attack the poorest to cut taxes for wealthy donors to party funds – and who try to use the deaths of children at the hands of a lunatic to try to justify this. Philpott would have been a violent, manipulative and “vile” man whether the welfare state existed or not. George Osborne would also probably be a vile man whether private donations to party funds were allowed or not, but he might not be Chancellor of the Exchequer and he , Cameron and Duncan Smith might not have the power to take from the poorest to give to the richest. There are plenty of sociopaths who have got to much higher positions than Philpott ever attained – for instance Roger Carr, the head of Centrica, who was given a knighthood for supposed services to the public in 2010 while his energy company is one of those which has been shown by studies by Manchester University to systematically over-charge customers over years. So we have a system where organised theft results in knighthoods. Tony Blair, who got tens of thousands killed for nothing and ordered British forces to co-operate in US-led torture is similarly rewarded with a paid position as a UN envoy – and his bodyguards and their hotel rooms and flights are paid for at public expense while he works for the dictators of Kazakhstan (where protesters are shot dead) and Kuwait among others as a public relations adviser (4). Time for a debate on the system that rewards these sociopaths with not just thousands a year but tens of millions and which allows them to gain positions of power so easily.